What is the importance of CNA Certification in United States of America? If you are seeking employment in the health care field in America, it is mandatory that you must earn CNA Certification and get registered with the specific state Nurse Aide Registry for obtaining legal working permission in different types of health care settings. You must also understand that CNA employment offers you entry level position in any health care field. How to earn CNA Certification? Such question might be intriguing you, if you are keen to make your career in health care field. 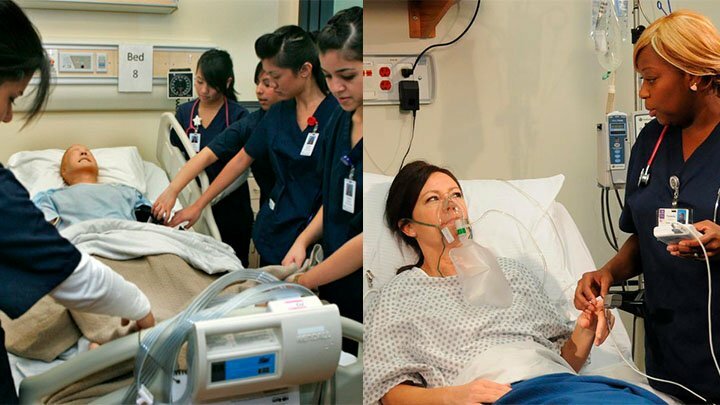 CNA Certification Programs are designed and prepared to offer complete knowledge and skills to an individual, essential for providing quality and competent cares to patients in different types of health care settings. The training program features two components and they are Classroom Theoretical Course instructions and Clinical hands-on experience. The duration of the certification program must be minimum 75 hours as mandated by federal OBRA-87 and, all states must follow the OBRA legislation and offer minimum 75 hours of training. But, it is also true that many states have followed their own program schedules and mandates training that far cross federal requirements. The programs can be attended from various community colleges, high schools, technical institutes and private trade schools. The basic training program instruction curriculum comprises of instructions on subjects, such as Basic Nursing Skills, where you will learn skills on measuring, counting and recording of vital signs, measure and record height and weight, and fluid intake and output, administering of injections, glucose and waters and other skills. You will also be instructed on the ways to offer Personal and General Care Skills, such as washing, bathing and feeding patients, answer call lights, grooming of the patient, clean rooms and change bed linens, assist patient in walking and numerous other skills. The skill of Infection Control will teach you ways of Infection control by washing hands properly, donning gloves, covering sneezes and coughs and others. Similarly you will learn about Emergency care procedures and CPR, which can save the life of cardiac attack victim and others. You will also learn other skills related to Human Anatomy, Adult Health Cares, Restorative Cares, Communication and Interpersonal Skills, Physiological Cares and so on. You must also understand that during Classroom instruction, you are not allowed to work with actual patients but clinical training offers you a chance to work and gain experience on long term care unit patients, where your practical hands-on experience will be completed. Your clinical training will be conducted under the supervision of RN. Once you complete CNA Certification Programs, you are permitted to sit for the Competency Evaluation Exam for earning CNA Certification. CNA Certification Test comprises of both Written Test and Skill Test components. Written Test component is based on classroom course instructions and you will be offered 70-75 multi choice questions, where each question has 4 answers and you will have to pick the best answer. The scoring of 70% & above will past the written test. Skill Test features demonstration of 5 skills, randomly selected from 25 skills, you have experienced during your clinical hands-on experience. The skills are needed to perform on a dummy, client or a live model. The scoring of 75% & above will pass the skill test. If you manage to pass the both components of the tests, you will earn CNA Certification and listed with respective state Nurse Aide Registry. If you fail to pass the exam in the first attempt, you may get 2 chances to clear the exam. If you have CNA Certification from another state, you can apply for the reciprocity or enquire with the respective state Board of Nursing and Nurse Aide Registry for their requirements for validity of your certification and permission to work legally. You must also remember that your CNA Certification expires after 2 years and accordingly you are required to renew it by applying and fulfilling the minimum working conditions of that specific state, paying renewal fees and meeting their renewal requirements. The information can be availed from respective state Nurse Aide Registry and State Board of Nursing.